Left-back Jordan Stewart has left Sheffield United to join Greek club Skoda Xanthi. Stewart, 28, who arrived at Bramall Lane from Derby last September in a swap deal involving Lee Hendrie, has left by mutual consent. United manager Kevin Blackwell said: "Jordan was a 100 per cent trier and I wish him well. "His departure opens up possibilities, and I'm considering options to provide competition and depth in his position." Stewart made 23 appearances for the Blades last season, starting 15 of those games. 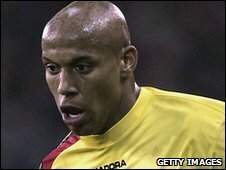 Birmingham-born, he began his career at Leicester City before moving to Watford and Derby County.